Mt. 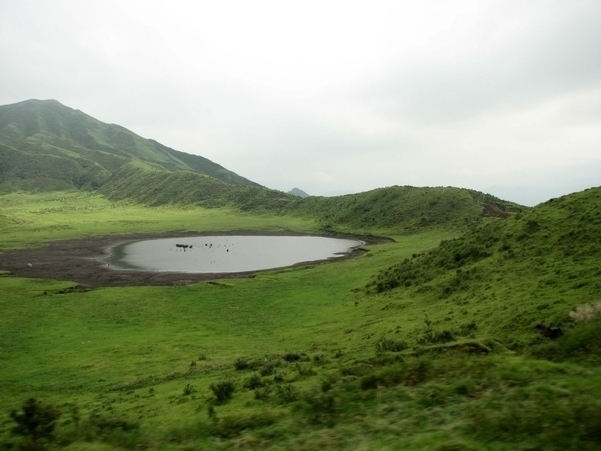 Aso is the most emblematic tourist destination of Kumamoto Prefecture. Kuwasenrigahama Beach is reputed as having the best viewpoint on Mt. Eboshi-dake，one of the Aso Five Mountains. It is located along the Mt. 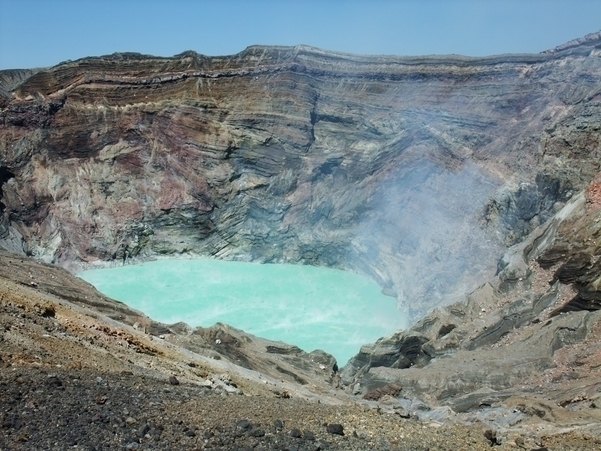 Aso Panorama Line which you’ll pass on your way from Kumamoto City to the Mt. 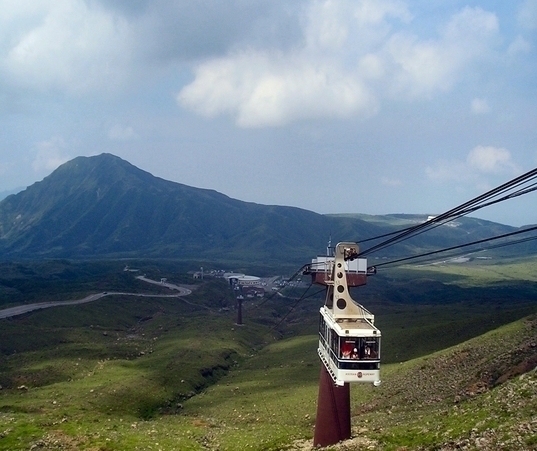 Aso Ropeway. To the south of the road stretches a wide plain with Mt. Eboshi-dake in the background. The sight of horses and cows peacefully roaming on the plains and drinking from the two ponds is quite soothing. 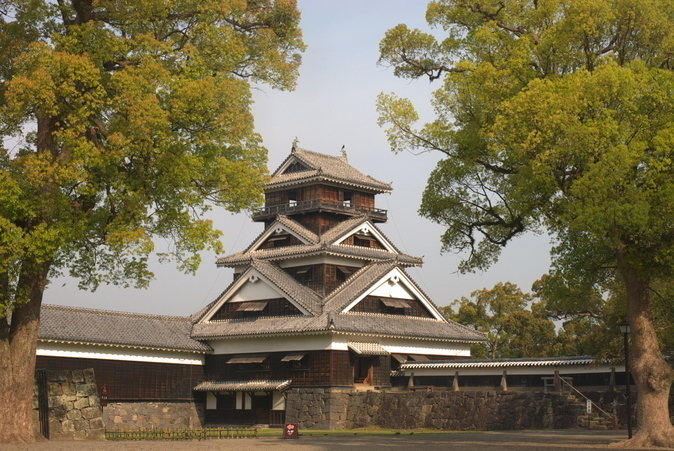 Seeing its grandeur will make you forget about the hustle and bustle of Japan. To the north of the road is a large parking space where many tour buses are parked. 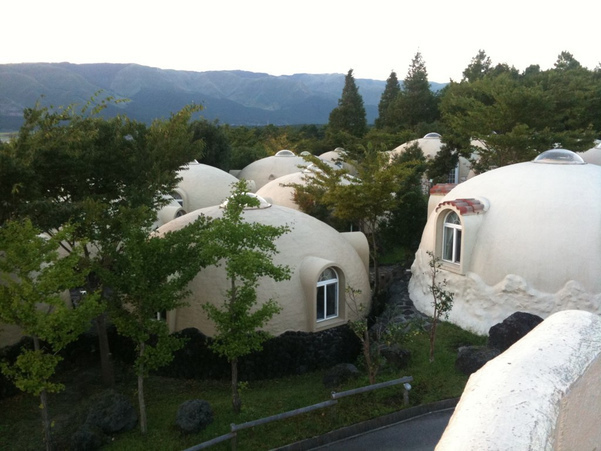 You’ll find here the Aso Volcano Museum，a resting house and some souvenir stores. There is also a horse-riding club where you can rent a horse and go for a ride along Kuwasenrigahama Beach. Please enjoy the pleasant breeze on horseback. 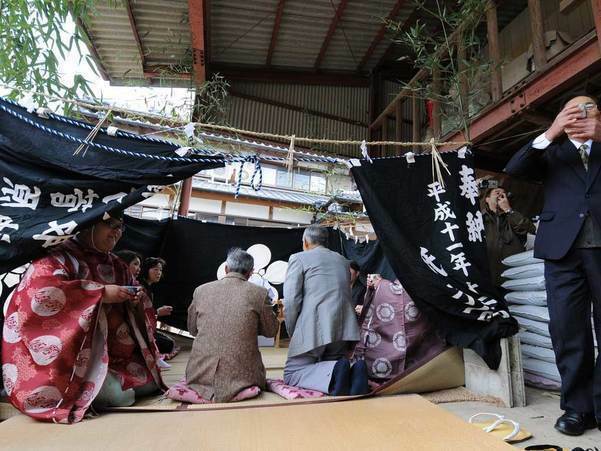 The Horse-riding Club is open from March to December when it doesn’t snow，but conditions aren’t ideal in June because of Tsuyu (rainy season)，when the rain creates several ponds on the plains. Summer to Autumn is the best for horse-riding.